Crafts aren't big in our house because I'll admit it, I'm not a very crafty mom. I'm the typical crayons, colored pencils and coloring books kind of mom. But you know what's really big in our house full of girls? Nail polish! Every week it's a new color and design and often my oldest paints my youngest nails and I'm sure you sense the mess and stains, like I do. However, thanks to Goo Gone, worry is in the past. I can sit calmly and watch my girls have quality sister time. And if they make a small mess, it's nothing a spray of Goo Gone can't fix! 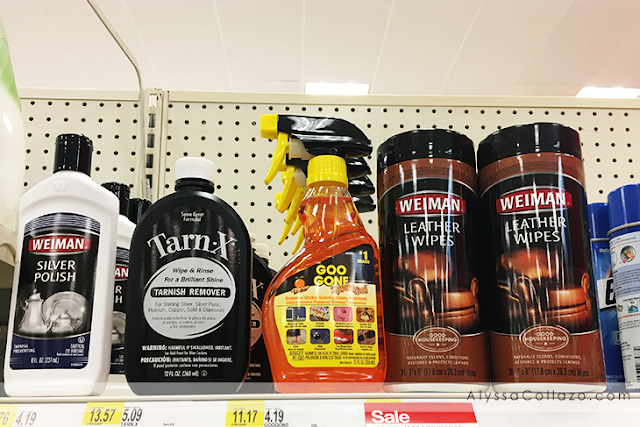 I ran into Goo Gone at my local target near the disinfectant sprays and couldn't believe my eyes! Goo Gone works on just about all messes, like crayons, stickers, gum, glue and so much more. Plus, it's really easy to use. First step, apply Goo Gone to the mess. Next, Wipe off with soap and water. Ta da, the mess is gone. It's that easy. You can even use Goo Gone as a spot remover. 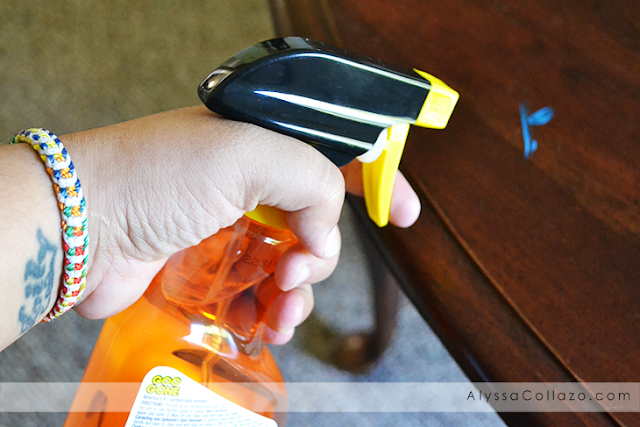 All you need to do is Apply it to a clean white cloth, gently blot the stain and blot dry with a clean towel. I mean, it really doesn't get much easier than that! Bonus, you can even use Goo Gone on clothing! This stuff is truly a miracle in a bottle at an affordable cost. Worry less with Goo Gone and enjoy these precious moments. It's moments you won't get back. Go grab yourself a bottle of Goo Gone today, I promise you won't regret it! 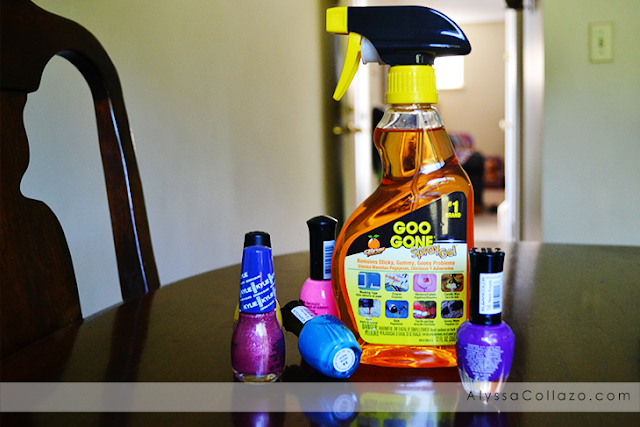 What will you use Goo Gone for? oh my gosh! this stuff is so great! Just don't accidentally spray it in your eyes like I did. Immediate trip to the DR. I could definitely get some use of Goo-Gone. I've been trying to find something to get gum off of my patio. I'll give this a try. Okay we're addicted to Goo Gone in this house lol. It's really amazing, and I use it for everything nowadays! You definitely need something like this when you have kids around. They just really make a mess out of everything and it's important to have a reliable cleaner around. This product sounds awesome! Oh, I think I need this cleaner. I can use this for anything, especially on our living room. Nail polish does always end up on other things, I agree. I like Goo Gone it smells good. Thats awesome! I always need help with keeping things clean around here! I totally love using goo gone. Although I never saw it in such a big bottle spray. Next time I'm in Target, I will pick up a big bottle too. Ooooo I will have to get myself some of this!!! With a crazy 4 year old running around I do need it! Well if it works, I gotta try it. I have kids and gosh, scrubbing is hard. Wow this seems like the very thing I need around here. My boys can get pretty messy (an understatement) and I need something like this to clean out the house.